By North East, I mean this part of Scotland rather than England, as that is how they term it here and I’ve adopted that nomenclature. It covers Aberdeenshire, but also Moray and Angus (the region around Dundee). As a linguist and traveller I’ve always found reading the literature associated with a region a great way of feeling my way around a place. When I was about to move to Ecuador, I made a trip to the inimitable Daunt Books on Marylebone High Street and was delighted to find all the South American books on one shelf; not just the travel books but also the literature. It got me off on exactly the right path for that adventure. Likewise, here I’ve found people I’ve met have recommended books and writers to me. 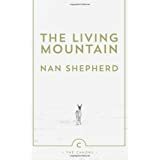 I did see a TV programme about Nan Shepherd on BBC4 shortly after arriving, her ‘The Living Mountain’ came out loud and clear as a must-read. I thought I’d wait until I started venturing into The Cairngorms but finally read it before the end of last year. An Aberdonian writer of mid-20th century, whose works are mostly set in earlier decades, she was, of course, neglected due to her gender but now experiencing something of a revival. She writes sensually of the mountains, the fauna and flora, the experience of walking and being in those captivating places. They are still virgin territory for me, though I’ve had some walks and drives and feel the call; not least because The Living Mountain has opened up my imagination and started sensitising me to the myriad inspirations on offer. I’m a little afraid of mountains, their majesty, feeling more comfortable in woodland and burns, but the call is there so we shall see how that develops. Buy the whole Grampian Quartet, which includes Living Mountain, and you won’t be sorry. Of her three novels, I’ve read Quarry Wood and am halfway through The Weatherhouse. Much of the dialogue is in the local dialect, the Doric, a North East Scots - which some say has much Dutch and some say has much Danish in it. It’s spoken very widely here and a joy to my ears; maybe the nerdy linguist in me likes the challenge of a new language. It doesn’t matter if you’re reading and don’t understand every word; it’s important to plough on as you normally understand the gist and the language gets easier as you read more. And, of course, it is part of the richness in these works. Shepherd writes of communities in rural Aberdeenshire with the landscape and seasons beautifully foregrounding individuals in communities undergoing the changes largely brought about by the First World War. Books and learning are scattered throughout the various simple crofts and manses with a randomness which delights me, as though a thirst for learning is no indicator of class, nor are baser instincts. The Quarry Wood treats of a female protagonist who gets into Aberdeen University and how she manages a luminous internal life, an aching love and the reality of a hard rural community. I really loved it - and am now reading her ‘masterpiece’, The Weatherhouse. I am enjoying it too and now fully engaged with the lives of Garry Forbes with his sense of justice, founded in his own journey of self-education, war experiences and the return to a community he’s never quite been part of, but seems to yearn to belong to, since his father isolated himself in the town. It reminds me very much of the Italian verismo writers I studied in my degree in Italian (Giovanni Verga, Grazia Deledda etc). Living in this community the distances in time and culture don’t always seem so great; especially when you hear this language in daily life, and walk across fields and alongside great rivers and modest burns. It really is exotic if you’re from South East England. 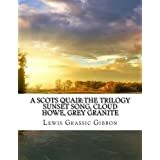 The more famous writer, of course being a man, is Lewis Grassic Gibbon, and his trilogy, A Scots Quair. His work is good and I recommend it highly but I do feel Nan Shepherd is moving and exciting in her landscapes and characters. Grassic Gibbon’s most famous work is Sunset Song, recently made into a film by Terence Davies - ‘a lyrical triumph’ according to The Guardian. I enjoyed it too but the language and accent weren’t right for me, annoying purist that I am. I feel the language here so distinctive and different that in the film the melange of accents and Scots didn’t have the powerful resonance that the vernacular has in the book. Of course, the book also softened the Doric but kept its essence, the film didn’t quite. His forthright female character, Chris Guthrie, and the glorious landscape sustained me through Sunset Song and its successor, Cloud Howe. I’m looking forward to Grey Granite.. up next after I finish Nan Shepherd. 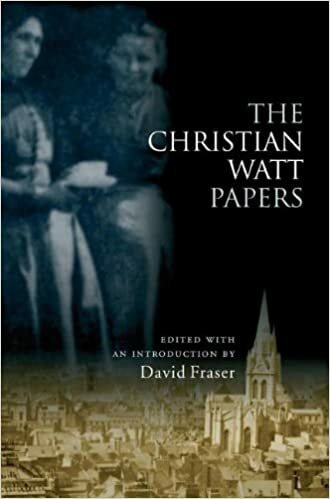 Alongside these two greats I delighted in The Christian Watt Papers, set around Fraserburgh - near my maternal family home. 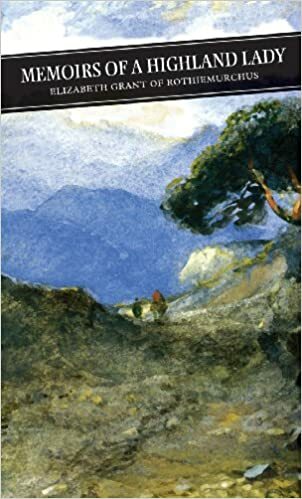 Though somewhat unreliable in fact and fantasy, this real person writes about her life in this late Victorian community of fishermen and wifes, with that tough poverty peppered with learning and lairds. 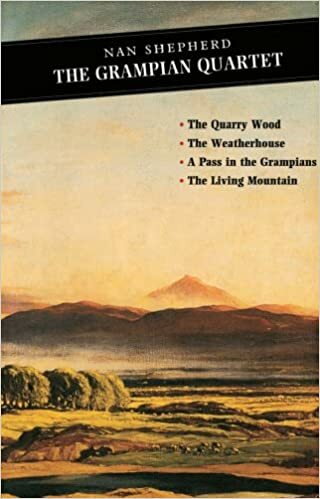 On the more laird end of the spectrum I also recommend Elizabeth Grant’s Memoirs of a Highland Lady - a delightful, gossipy and not-without-suffering account of late Victorian life on the Moray side of the Cairngorms. The joy of the community and again the awesomeness of the landscape are wonderfully inviting. Finally, I can’t miss out on a book from my beloved Persephone Books: Lady Rose and Mrs Memmary by Ruby Ferguson. It’s somewhat of a grand estate fantasy but fortunately I read the introduction by Candia McWilliam (a favourite contemporary Scottish writer of mine - see previous blogpost). She excused the obvious failings in the book but kept me going as the darker side to the novel gave it depth. In fact, it’s set in Fife, so not strictly North East. The themes are the same with much more weight given to a long since disappeared life of the Great Estate, of Victorian vintage. I also have from Persephone Books, Marjory Fleming, by Oriel Malet waiting to be read. This I bought as part of my research into early 19th century life, which is one of my family history research angles. The book is written by a prodigious talent of 20, about an equally young woman - set in Edinburgh, so definitely lowlands. Hopefully much joy awaits me there, as well as my more adventurous forays into The Cairngorms when spring arrives. Whilst I think Jess Cartner-Morley is definitely onto something when she writes about how mid-calf skirts and mid-thigh coats look great together, I felt the urge to wear mid-calf skirts this year and felt I needed a longer coat. So, whilst I'm keeping a fairly low profile in my business, I thought it would be nice to make up a few pieces in the tweed I had left. My favourite dog-walking coat is a de Beauvoir long coat, which I made as a sample but which never went into production. I can't really remember why; I think I had other coats I wanted to focus on. This year I made one up - it's size 10 in Breanish handwoven tweed from the Isle of Lewis. It's a lightweight tweed, perfect for milder days where you still want to cover up. It's so smart but also softly tailored so gives a casual tone to your look. I also had a few lengths of Welsh twill - a very different tweed; heavy, brushed and perfect for the Woolf coat - a perennial favourite. It's the kind of coat that will get you through winter (especially up here in Scotland where I now live). I have this one in size 12 in the darker tweed. And this one in size 10 in the paler tweed. The Welsh twill is woven in undyed Shetland yarn. Being an environmentalist is a journey, as is everything, of course. When I started my business back in 2007 I was very committed; I wanted my business and my life to be perfectly sustainable and ethical and local and everything else I could find that made me feel was right. I also wanted my products and my life to be beautiful and have an edge, or at least that I was a designer as well as a perfectly ethical being. I read widely and this inspired me; I joined environmental groups and I made new friends in that world. As someone brought up in a very religious context, but inevitably disillusioned, I suppose an all-embracing solution and sense of meaning was going to give me a sense of completeness. Intellectually it did, but then life and reality made it rather a challenge. I found it hard to convince the world that my vision was what they should believe in too, with the same intensity as me. They didn't feel the same desire to sacrifice financially and socially. They didn't want change. I loved, and still love, change. My work was hard to sell and it hasn't sustained me financially. Then my personal life imploded and I could just about manage to look after myself and my dog, and keep my close friends and family near me; I had no energy for my other friends and many sadly fell by the wayside. I had to get a job and was too tired for much else. It's a process countless people go through - and hopefully they come out of it clearer and happier - as I have done, despite the ordeal. Of course, I couldn't change the world and be a perfect eco warrior through all this. It's good to regain your humanity and see the world like everyone else does. I didn't go on a carbon binge or a Primark binge. But, I did chill out a bit about buying the odd piece of clothing from cheap shops, or the odd plane ticket when I felt I really wanted a trip somewhere hot. I stopped judging people; that's good. I stopped judging myself; that's good too. I can see how everyone is so busy and tired and has so much on that they don't see that they have time to make all their own food from scratch, research the ethical credentials of everything they buy, or buy local. It's such a pleasure doing that but you need time. As part of this process I moved up to Scotland as I knew I needed a simpler life - but I'm totally aware that I've chosen to be on the margins; not work full time in a paid job. I have a flat in London and partly support myself on the rent (fortunate I know) and I am happy not being in the throng so, even though many people curiously think I'm brave, I'm pretty happy. I have no doubt that because I've caught up on my sleep and my stress levels are much reduced I've got the mental space to start looking out into the world again, rather than my small existential hub. I recommend a year in Scotland. So I feel inspired again; after saying I must read Naomi Klein's new book, I finally did it. Naomi Klein's 1999 book, No Logo, was of huge importance to me when I was conceiving my business. I had a tedious job in London Docklands in 2006 and fortunately no-one seemed to notice that my lunch hours were well over an hour as I sat, ironically, in a comfy Starbucks armchair (the only place in this desert of a business area) reading the book with a great sense of purpose. I didn't read her next work, The Shock Doctrine, as it inconveniently coincided with my own individual shock doctrine. But, I've just read This Changes Everything and it's got me back on track. I can't say it's changed everything for me as she's very clearly preaching to the converted for me. However, it's given me some clarity. Essentially, Klein is an engaging and thorough writer. She's a self-declared anti-capitalist who reveals how our unfettered globalised economies wreak havoc socially and ethically, and now she turns her attention to how this system is destroying the earth. If it weren't so sad, her wry humour about the climate-change deniers is worth a read and she seems astute in her analysis of the fear neo-liberals have of the climate debate. Do read the dismaland chapter on our national treasure, Richard Branson. She has clear solutions (essentially involving state (& global) intervention): large-scale systemic change, regulation of both business and individuals to effect a reduction in carbon emissions. She is optimistic that this will happen due to a growing groundswell of resistance, from local residents resisting the impact of 'extractivist business' and other political pressure groups gradually dominating the debate as climate disasters perpetuate. She cites the successes of historical movements such as the abolition of slavery, the feminist movement, LBGT campaigners, the civil rights movement. I do feel she's optimistic. I look at the horrors of the last century, in particular the holocaust, and feel chastened that this happened on my continent and was not stopped. The impact of climate change will cause many more deaths and we'll have sleepwalked into it because not enough people seem to be able to personally or politically take the hit that this change will bring. If we all do it, it will be ok, or at least not so bad and we'll look back with shame at how we lived before, in the same way that we look back at racism in the 1970s. I really hope she is right, and I will be there supporting those who advocate change that will stop this CO2 burning frenzy. What has changed in me since reading this book? I'm not going to man the barricades this week or change the world personally. I'm a bit more conscious of my choices. I profoundly distrust our governments and our globalised trade system to provide a solution; but then they're just doing what their electorate tell them they want; they'll never risk votes for this. I'm a lot clearer that the environmental question is the most important of my time. I'll do what I can, especially when the time comes, as I hope it will, for our communities to change. I am an environmentalist. I'm clear about that. So the winter has firmly wrapped around us here in Aberdeenshire and my distance from London is taking shape more. I feel, however, I want to write something about my work-life in London, for posterity maybe, but also because it did also inspire me to re-engage with technology; seemingly a long way away from a craft life. The digital work crept up on me gradually with some part-time work, but before long I found myself back in a high-pressure work situation. It was a dreadful shock to my system at a time when, for personal reasons, I was least able to manage it. Sounds over-dramatic as it’s what tonnes of people do day in day out without a fuss. However, this three year technology interlude was interesting. I worked in digital from the late 90’s until I launched my business in 2007. In fact, with my business, I have always kept the web very core to my presence, so it was good to work with digital from the cottage industrial perspective. Going back into the corporate fray after a 5 year break was something else though. Some things were stimulating – I loved finding out about new methodologies – such as Agile, Lean methodologies (ways of delivering digital projects) and thinking about coding as a craft. I caught up with social media going mainstream, then found myself thinking about the future of technology. This approach (as with all agile) could be and is being adopted in many fields, not just technology. Having worked for a dot-com startup and then starting my own business it was a refreshing revelation to throw out the old-fashioned 5 year business plan approach. You really don’t know anything when you’re starting a business, developing a new technology, or trying to break into a new market. Much as you’re led to believe that you can’t do anything without a business plan, you can’t do that much with as business plan as you’re really guessing. What Lean shows you is that you need to integrate a short feedback loop so you can see what customers are doing, and plan to modify (they call it ‘pivot’) quickly when you see what that behaviour is. Reading books like Sennett made me consider how software development is very analgous to the crafting tradition. It’s not the same obviously but it shares the same heritage; it’s a skill, depends on the individual experience and ability. My skills in digital are more management and strategic. I’m not a coder myself. It is the contemporary craft and it did and still does make me wonder if I’m fighting a dying cause, this artisan thing being all so stuck in previous centuries, and yet and yet..
Another interesting realm I came across was the technical futurologist world of Jaron Lanier. Interestingly related to the artisan/craft hemisphere, Lanier is a digital futurologist (who invented the term ‘virtual reality’), but he is also a musician, a composer who specializes in unusual musical instruments. The book I read and enjoyed was 'Who Owns The Future." I love his unstintingly humanist approach that forbodes a time when a handful of companies, he names ‘Siren Servers’ such as Google, Amazon, Apple, Facebook have such volume of data on us that they really can produce stuff based on that knowledge without people having to worry about pivots and business cases and strategy meetings. It will make stuff cheaper so it will sell but we’re giving them all this insight for free as we use their products. Comfortingly, he did also say that with this automated cheap stuff that will emerge, some people (ok the rich) will still want that hand-made stuff because it is differentiated from the norm. That’s already started happening with the emergence of the 'artisan' despite the hipster-Hackney-artisan coffee-shop-type backlash. I’m not the only person in the world who tries to avoid supermarket food, chainstore clothes and so on. Up here in Aberdeenshire I love the small shops that still exist; they’re gone from the South of England. 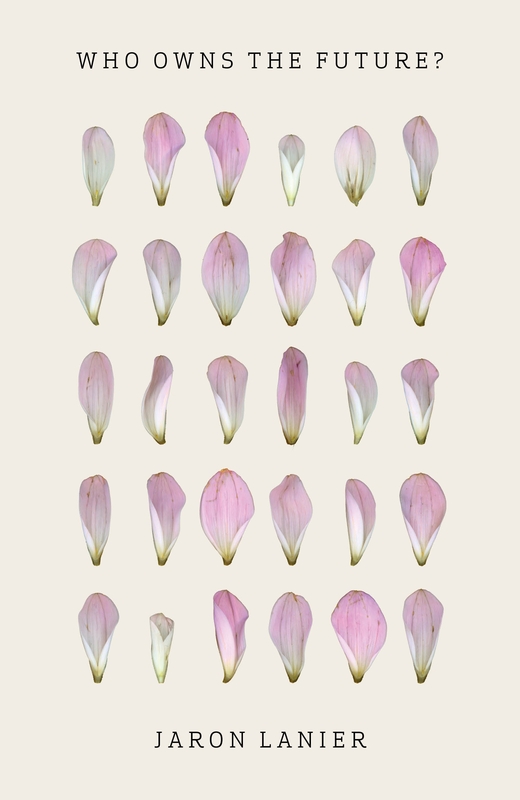 Lanier’s work makes me want to give up social media – which, however, does bring me pleasure, even if I am hopelessly distracted by it at times. It serves my social and general feeling of being connected intellectually and with the buzz. I wonder if I limited my focus to my history research, my ethical fashion work and my favourite sources of news such as The Guardian, & the BBC I would be really focused on my work. Or, would I become too focused and miss out on stuff. Or is that the digital tyranny we’ve bought into? If I disappear from Facebook & Twitter, you’ll know what experiment I’m trying. However, I definitely plan to spend more time on the blog. The curious thing, about this interlude, was my management experience - I am obviously older and wiser now that I'm in my getting-wrinklier forties but I found myself in a more 'leadership' role and doing it successfully. I didn't really ultimately want the responsibility but I have clocked this and wonder where it will re-emerge in my next chapter.